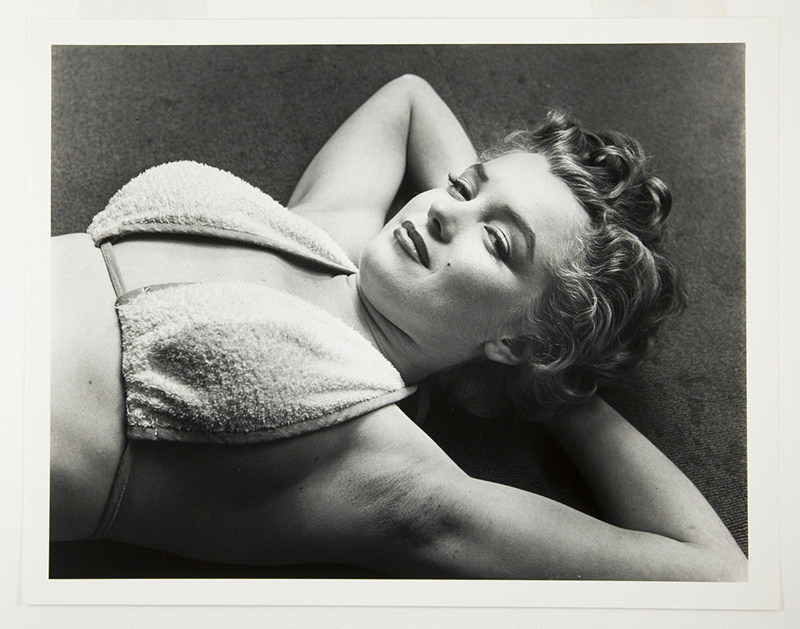 About this objectMarilyn Monroe reclines on her back in a bikini top. The location and time of this photograph may be similar to the image of Monroe exercising with dumbbells. This photograph is one of ten from the series “Halsman/Marilyn”.